Blog is dead recently. I've been busy working and arranging time to spend with my family members hence I only on facebook to check on some friends news update. Nothing more. 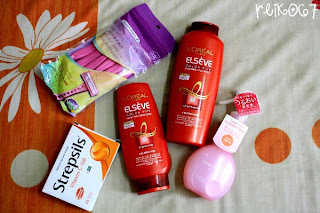 I've been wanting to buy some hair care products since I dyed my hair into the caramel brown, but tight financial always make me stop at the last minute from putting those stuff into my shopping basket. 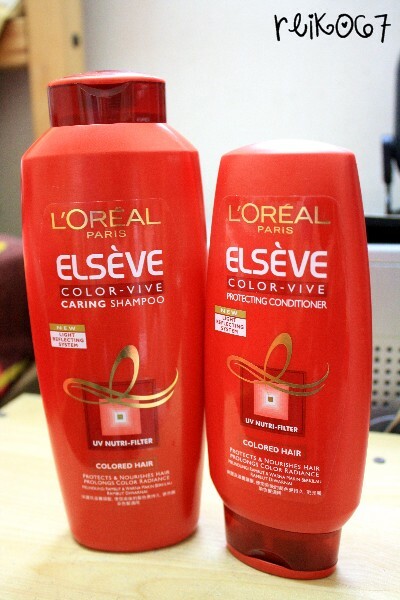 I was suppose to buy a set of bikini for my upcoming model search competition instead of these hair cosmetics! But guess what, the swim wear shop I went zap lap liao (closed down), I can't buy bikini so I bought all these. Costs me RM80! Burnt a hole in my pocket. I'm so in love with its pinkish bottle and this is the LAST bottle available on the rack. Heart felt sooooo itchy I just grab it and put it in my basket. It's a treatment spray designed for colored hair and there stated: Anti Color Fade! This pinky bottle sure knows what I need at the right time. Tried it once... Can't really see the effect of the color of my hair YET but I'm very happy that my hair becomes much more smoother and softer. Unlike previously, I can't even comb my hair one handed, another hand must hold the bunch of hair to untangle the hair ends. Just done a Korean online shopping mall TVC today outside Pavilion. Wow, those models from Korean sure is pretty! Their face is sooooooo small, nose bridge so tall, and double eyelids so pretty they look good in any pose, any outfit, any style! I think to me, the acceptances for plastic surgery becomes higher after what I saw with my own eyes today. I want to be as pretty as them can!? But ya la, I'm a coward, I'm afraid of going through pain and I got no money. 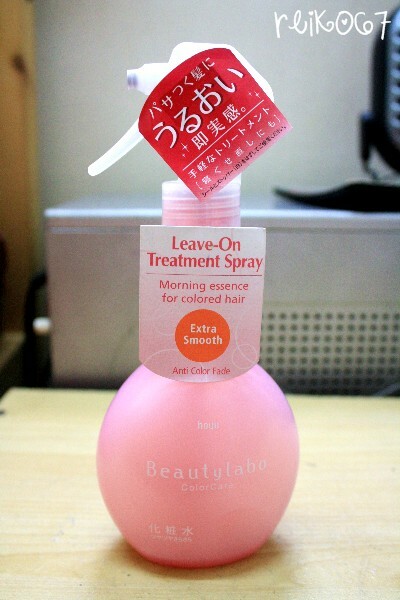 Anyway, I will do more review on the BeautyLabo's Leave on treatment spray after I've tried it for some time. Shall continue focusing on what I'm going to work on for tomorrow. Gambatte everyone! Happy Tanabata!